GoAnywhere MFT (managed file transfer) is a secure file transfer solution that works for healthcare organizations and business associates to safeguard sensitive ePHI and EHR data. The software is easy to implement and requires no programming experience to use, so any team can get up and running quickly. 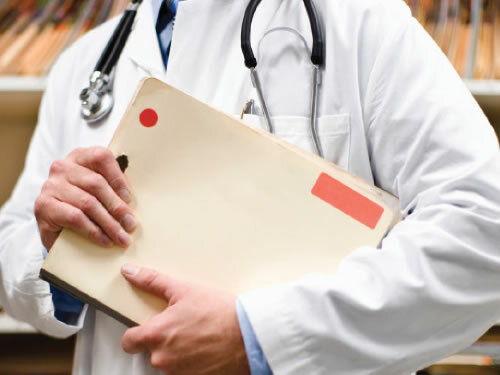 GoAnywhere MFT gives healthcare organizations a safe, streamlined way to send large files and sensitive ePHI and EHR data to hospitals, clinics, pharmacies, and insurance companies. With a secure file transfer solution in place, health providers can relax knowing patient information is encrypted in transit and at rest, no matter if it resides inside or outside the private network. "We needed a tool that would ensure secure and dependable data transmissions. We tried many different tools but none were as versatile and dependable as GoAnywhere." Transferring sensitive records between hospitals, clinics, pharmacies, and insurance companies using legacy file transfer methods or home-grown scripts subjects patient data to increasing risk. As healthcare organizations rapidly adopt health information technology like EHR software, these unsecure file transfer methods are creating risk that leaves healthcare providers open to vulnerabilities and data breaches. It’s critical for organizations to secure their data and updated business processes to ensure they meet HIPAA and HITECH’s strict compliance requirements. GoAnywhere MFT can help healthcare organizations achieve HIPAA- and HITECH-compliant file transfers. Explore the security requirements we can satisfy for HIPAA/HITECH standards in this data sheet. 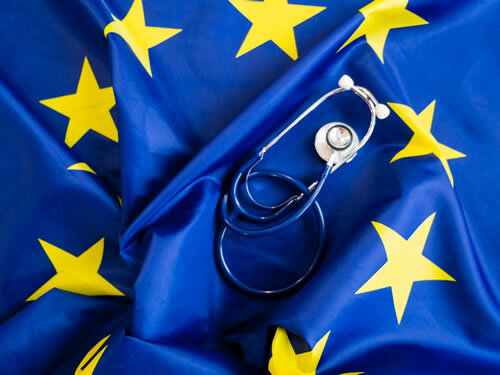 Healthcare organizations in Europe have a lot to consider when ensuring total data security compliance with local, national, and EU-wide regulations. GoAnywhere MFT can help. With managed file transfer, health providers in Europe can meet compliance requirements for key regulations. GoAnywhere provides an auditable solution with secure file transfers, data encryption, audit logging, and more. View this data sheet for specifics on how GoAnywhere can help healthcare organizations in the EU meet ePHI and EHR file transfer requirements for the GDPR and other data security standards. GoAnywhere MFT's centralized controls, security settings, support for popular transmission protocols, and ease-of-use help authorized users transfer PHI data with confidence. GoAnywhere MFT automatically records and retain logins, file transfer transactions, and any encountered errors. These detailed audit logs and reporting satisfy compliance regulations that require documentation of where ePHI data is transmitted. Automated workflows and transaction alerts allow IT staff to streamline mundane tasks, disconnect from business processes, and spend more time on other important projects. Learn how your peers use GoAnywhere MFT to achieve file transfer projects in their organization.